December 3, 2011, marks the 150th anniversary of the Foreign Relations of the United States (FRUS) series. The FRUS series, which is produced by the State Department’s Office of the Historian, was first published in 1861 in the same year that the Government Printing Office was founded and is the official documentary history of U.S. foreign policy decision-making and major diplomatic activity. Researchers and students of foreign policy have relied on the series to provide a “road map” of various major U.S. Government archival sources for many years. Image: FRUS Series 150th Anniversary. Source: State Dept. Office of the Historian. The FRUS series now comprises more than 450 individual volumes. A staff of approximately 20 historians and editors at the Office of the Historian in the Department of State compile and prepare the volumes for publication. More recent volumes published over the last two decades increasingly containing declassified records from all the foreign affairs agencies who participate in a declassification review if their documents are selected for inclusion in a FRUS volume. What will you find in a typical FRUS volume? Foreign Relations volumes contain documents from Presidential libraries, Departments of State and Defense, National Security Council, Central Intelligence Agency, Agency for International Development, and other foreign affairs agencies as well as the private papers of individuals involved in formulating U.S. foreign policy. In general, the editors choose documentation that illuminates policy formulation and major aspects and repercussions of its execution. Volumes published over the past few years have expanded the scope of the series in two important ways: first by including documents from a wider range of government agencies, particularly those involved with intelligence activity and covert actions, and second by including transcripts prepared from Presidential tape recordings. Although the FRUS was originally proposed as an unofficial Annual Report for the Secretary of State, its originators displayed very lofty goals for their now long-lived series. In short, the Department intended for FRUS to serve an important public affairs function in addition to satisfying demands from the academic community. 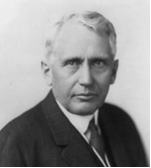 Image: Frank Billings Kellogg, 45th Secretary of State under President Calvin Coolidge, 1925-29. Source: State Dept. Office of the Historian. Thus, the editors of the Foreign Relations of the United States (FRUS) series act as the curators of American diplomatic history, sifting through our foreign affairs information to ensure there is a means for future generations of Americans to witness, decipher and interpret U.S. foreign policy decisions and actions. 1) FRUS Research: To mark the 150th anniversary of FRUS, the Office of the Historian at the U.S. Department of State assembled extensive research on how the evolution of the series fits within many important themes in U.S. history, including the transformation of government institutions, changing conceptions of national security and transparency, and the increasingly important role that the United States has played in the world. 2) Upcoming FRUS Events: As part of the FRUS series sesquicentennial, the Office of the Historian has also embarked on an outreach initiative with public events. Even if you missed the commemorative events held to date, you can consult the list of events to see if a recording is available. a) Foreign Relations during the Civil War Era: A Video Interview with Dr. Aaron Marrs, Office of the Historian, U.S. State Department, December 1, 2011. President Lincoln’s Cottage and the Office of the Historian of the U.S. Department of State hosted a public program to commemorate the 150th anniversary of Foreign Relations of the United State, the flagship publication of the Department’s Office of the Historian. Burrus Carnahan, noted Civil War and Lincoln author and scholar, interviewed Dr. Aaron Marrs, Civil War-era specialist with the Office of the Historian, on Marrs’ new research that sheds light on foreign relations in the context of the Civil War. Video part one is available here and part two is available here. b) A Weapon of Mass Instruction? : Discussion with Office of Historian Staff Members and University of Virginia Professors, November 7, 2011. The Miller Center of Public Affairs at the University of Virginia hosted a discussion between Office of the Historian staff members and University of Virginia professors on how the U.S. Government has historically struggled to balance security imperatives with its commitment to transparency and democratic accountability. Video available on Miller Center website. c) Out of the Frying Pan, Into the Fire: A Conversation on the 1955 Yalta Foreign Relations Volume October 12, 2011. The story of the Yalta Foreign Relations of the United States volume is a Cold War tale of partisanship, of sensational global headlines and leaks, and of contentious debates about balancing security and openness … learn more about the Yalta papers by listening here to the discussion, “Out of the Frying Pan, Into the Fire,” at the New York Public Library. d) Open Secrets: The Foreign Relations of the United States Series, Democracy’s ‘Need to Know,’ and National Security: American Historical Association Panel, January, 9, 2011. To hear how the FRUS editors sort through questions such as how much the public needs to know, what should be kept secret, are secrets political, and how long secrecy lasts, watch this fascinating panel discussion on how a democracy balances the public’s right to know against the need for preserving national security. This panel was held on January 9, 2011 at the American Historical Association Annual Meeting and included a roundtable of historians from the State Department and National Security Archive. The panel discussion can be viewed on CSPAN video or Youtube video. Figure: FRUS panel entitled “Open Secrets: The Foreign Relations of the United States Series, Democracy’s ‘Need to Know,’ and National Security” at the American Historical Association Annual Meeting on January 9, 2011. So from one 150 year-old to another, GPO wishes the Foreign Relations of the United States series a very well-deserved happy birthday! How can you get copies of the Foreign Relations of the United States (FRUS) series? Buy individual volumes online 24/7 at the US Government Online Bookstore, in our new International and Foreign Affairs Federal Publications collection. 1) GPO Email Alerts: Sign up to receive email alerts from the U.S. Government Bookstore about new publications in the FRUS series. 2) State Department FRUS RSS feed: You can also keep up-to-date about new releases in the FRUS series by subscribing to the State Department’s FRUS Series RSS feed.